Intervertebral Disc Disease (IVDD) – a major clinical problem in the dachshund breed which can lead to paralysis. To help prevent this, restrict exercise and excessive jumping. Progressive Retinal Atrophy (PRA) – Miniature Long and Miniature Smooth Dachshunds have a prominent incidence of (PRA). This retinal degeneration results in loss of vision and can lead to blindness. Von Willebrand’s Disease – a mild to moderate bleeding disorder. Even though many dachshunds with this disease do not experience severe bleeding, there are reports of fatalities. Cushings Disease. This is a disease that is seen more often in older dachshunds. It is a serious disease that usually can be managed with medication. Colour Dilution Alopecia – this is a genetic defect where dogs lose their hair from as young as 6 months old. Dachshunds affected by this problem can lead a normal happy life with a little extra skin care. Hip dysplasia – a deformity of the joint and the most common cause of rear leg lameness. Usually found in larger breeds but can also affect dachshunds. These are just a few of the illnesses that your little mate can get. If you want to look after your beautiful dachshund, and protect yourself against high veterinary costs, it’s worth considering pet insurance. At Petinsurance.com.au you can get up to 80% off vet bills and you’ll pay $0 excess – get a quote to see how affordable it can be. Don’t miss the chance to ‘WIN A FREE DOG INSURANCE* POLICY FOR ONE YEAR’ from Petinsurance.com.au. 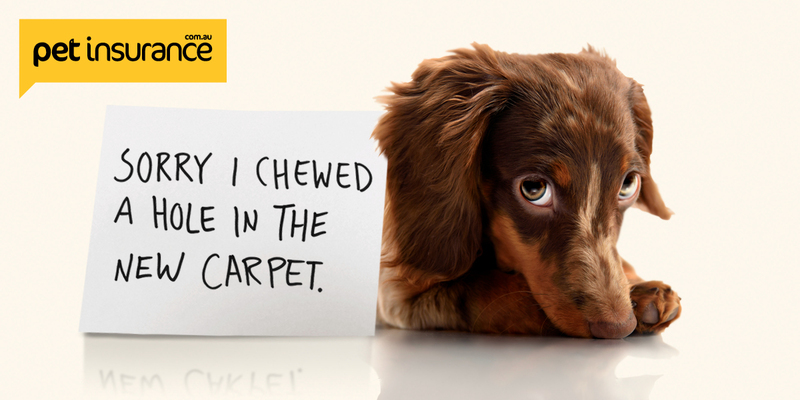 Just click here and complete your details plus an amusing pet shaming note to enter!